Let me preface this blog with the following: SEO should be part of an overall strategy, not your only or main strategy. We are often asked here at Twenty07 about Search Engine Optimisation (SEO) and how much time and money should be spent on it. From experience dealing with sole owner businesses and smaller companies where money is always an issue I think several things need to be taken into consideration. SEO done purely to obtain search engine rankings can lead you down the garden path. Google in particular is very sophisticated in identifying the quality of a website. The basic rule should be always delivering continuous quality content, this will be rewarded organically over time. Websites take a long time to get their ranking and any short cut methods used to do this will, in the long run have a detrimental effect. 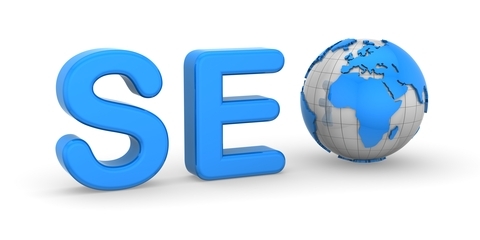 I have seen advertised and clients use SEO services that churn out content for a site using keywords and phrases. This is pure quantity over quality and although your site may move up the rankings short term and receive an increase in hits your aim should be more target specific. As website platforms such as Squarespace have become more sophisticated then much of the SEO has been done for you. It is important to use headings where necessary and use tags on images but this is a small part of the strategy. When people talk about SEO what they really want is to get more people to their website for specific search terms. Once this is done then a strategy can be put in place, SEO should be part of this but only in terms of ensuring the quality content you produce is optimised for SEO in terms of structure, headings, titles and keywords that are relevant to your content. Your content should not be driven by this structure. Google and other search engines success is based on delivering the most "matched" content for a specific search term. The more your headings, keywords etc match your content the more your site will be better matched to searches and rewarded with reduced bounce rates, increased time on site and other metrics. If you try to trick the search engines it will become apparent and your site will ultimately be penalised. Other things that effect your ranking are link from other quality websites to yours, and again this will require good content. Determine what is best for your particular business or circumstance, over time these objectives may change so you should review and assess. Ensure you have Google Analytics or some other way of gathering data and assessing the effectiveness of your strategy measured against your objectives.